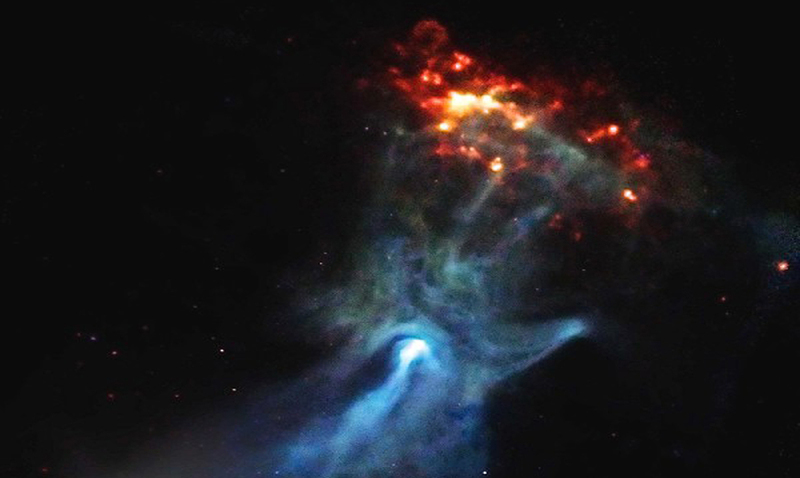 References to the ‘Hand of God’ are not uncommon, however, a recent image captured by NASA’s Nuclear Spectroscopic Telescope Array, or NuSTAR, has captivated the attention of believers the world over. The image appears to reveal an x-ray image of a hand 17,000 light years away from Earth. 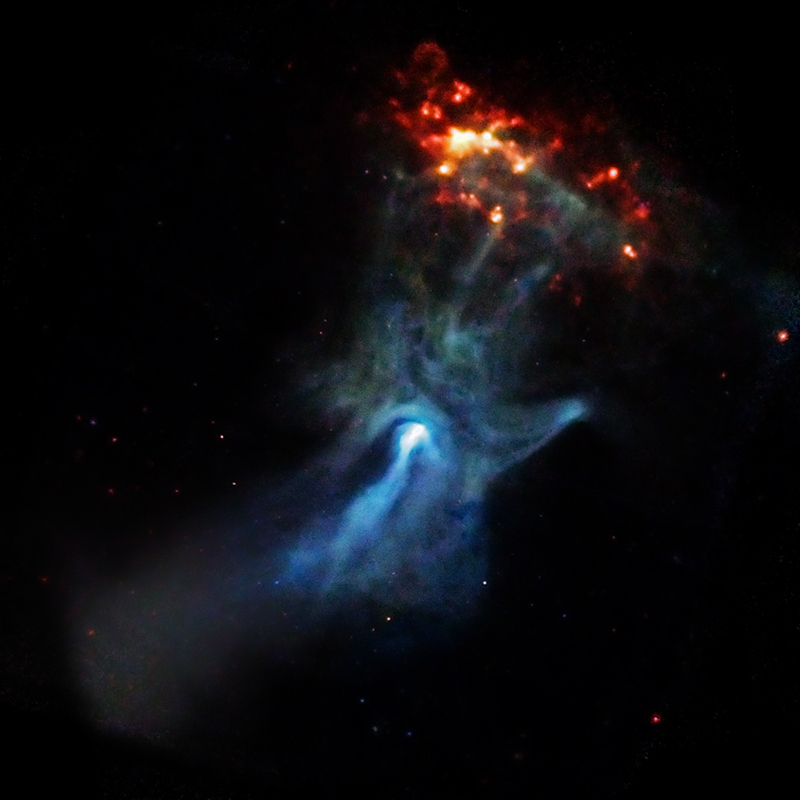 The ‘Hand of God’ as the image has been deemed is the result of a supernova explosion which left material behind, creating a partial wind as the pulsar spins around at a rate of seven times per second. The existence of the pulsar’s particles isn’t up for debate, there is a clear scientific explanation for the presence of the material that we can see. The curious part for those studying the image is the shape the material has taken. Hongjun An of McGill University explained, “We don’t know if the hand shape is an optical illusion. With NuSTAR, the hand looks more like a fist, which is giving us some clues.” Experts continue to investigate whether the material is actually shaped like a hand, or if the interaction between the different particles is just making it look like it does. Scientists say that the ‘Hand of God’ debate is a classic example of pareidolia. In an article for Live Science, Kim Ann Zimmermann states that pareidolia is the “psychological phenomenon that causes some people to see or hear a vague or random image or sound as something significant.” This isn’t the first example of pareidolia in references to the appearance of religious imagery, in fact, there are many examples that have made their way into the mainstream media. In 2004 Florida’s Diane Duyser sold a decade-old grilled cheese sandwich on eBay for $28,000 after claiming that it bore the image of the Virgin Mary. The sale received over 1.7 million hits while it was up on the popular auction site. A coffee house called Java Café in Belmont, Tenn. Rose to fame when word spread that they had a cinnamon bun that resembled Mother Teresa. Known as the ‘Nun Bun,’ The bun was the cause of a great deal of debate until one Christmas Eve when it was stolen. A $5000 no questions asked reward is still on the table for its return. Is the ‘Hand of God’ image a miraculous experience or merely a creation of our own perception?